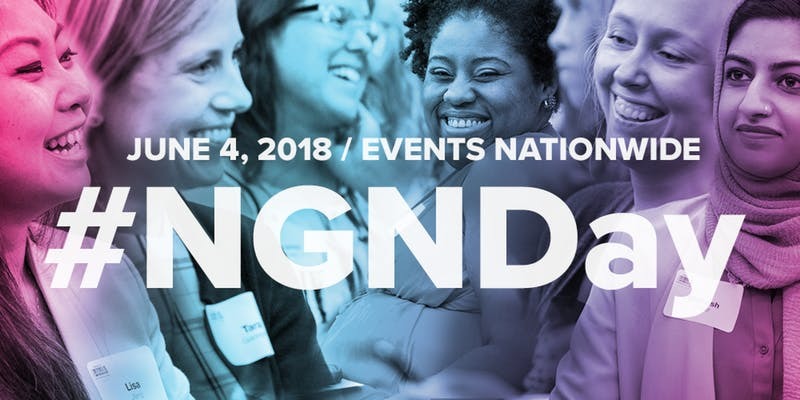 We are so excited to be one of over 40 cities participating in #NGNDay — National Girlfriends Networking Day, by The New Agenda. 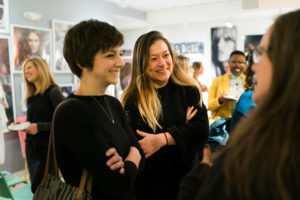 We’re gathering for lunch, networking and a livestream of the national panel, on Monday, June 4th from 11:30am – 1:30pm at 3S Artspace. Tickets are just $7 ($5 for members) and include lunch! #NGNDay is about cultivating a historically-imbalanced mentorship pipeline, to help women succeed in their careers. #NGNDay is a great opportunity to grow your social media networks, too. 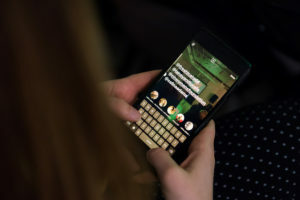 Not only will these takeaways enlighten your existing followers, you may connect with others nationwide who are participating in the event, too. #NGNDay Portsmouth is building upon Feminist Oasis/3S Artspace’s successful local networking model. When you arrive, you receive a brightly colored piece of paper with three values-centric creative conversation prompts. At the end of each 10-15 minute round, you switch with someone with a different colored piece of paper (each color has its own set of unique prompts) and find a new person or group to engage with. This is helpful for several reasons: it saves you from asking or answering “So, what do you do?” (boring!) and it keeps you moving and meeting new people. If you arrive alone, you’re quickly connected to several new people. If you arrive with a friend, you are encouraged to split up for a bit so that you won’t leave without meeting anyone new. so we can get an accurate head count for ordering lunch! 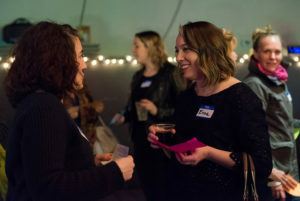 Join thousands of women around the country by attending interactive, networking events. We’ll feature a panel of renowned, diverse women leaders discussing how to plan your career path, and then taking questions via social media from nationwide participants. 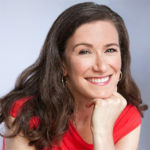 Live event will take place in New York City and will be moderated by Amy Siskind, President of The New Agenda and author of The Weekly List. Rose is CEO and President of Patagonia Works and Patagonia Inc. companies owned by iconoclastic Founder Yvon Chouinard. 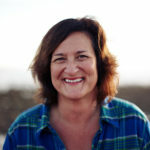 She is credited with quadrupling the company’s profits and revenues during her tenure as COO and CEO since 2008, and taking Chouinard’s “radical revolution to scale.” She created the companies first in-house venture fund, and oversaw the development and creation of Patagonia Provisions, an organic regenerative food company focused on applying Patagonia’s mission to the food supply chain. She was honored at the White House by President Barack Obama as a Champion of Change for her family friendly work policies. She was profiled in Fortune Magazines Most Powerful Women in Business 2015, and Fast Company named her one of the most creative and innovative CEO’s of 2016. She was named by Good Net as one of the five most inspiring CEO’s in America. Upworthy named her one of nine high profile CEO’s who did positive things for world in 2015. She has been recognized for her work as a champion of the Benefit Corporation movement. She has been practicing Buddhism for two decades and is on the Board of Trustees at Naropa University, a Buddhist College in Boulder, CO. She lives in Santa Barbara, CA. 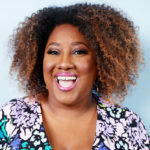 Ashley Nicole Black is a senior writer and correspondent on Full Frontal with Samantha Bee. She dropped out of a PhD program at Northwestern University to study comedy at The Second City. Thank God it worked out. In 2017, Ashley took home an Emmy for Outstanding Writing for a Variety Special for Full Frontal With Samantha Bee Presents Not The White House Correspondents’ Dinner. Dr. Jeannette M. Perez-Rossello grew up in San Juan, Puerto Rico. She holds a Bachelor’s of Science degree in Biology and Society from Cornell University where she was also inducted into the Quill & Dagger Honor Society for exemplary service to the university. She received her medical degree from the University of Rochester and completed her radiology residency at Mount Auburn Hospital. She completed a pediatric radiology fellowship at Boston Children’s Hospital and joined the staff in 2002. She is Assistant Professor of Radiology at Harvard Medical School and lecturer in the pediatric radiology elective, orthopedics core course and child abuse conference. She has served as Co-Director of Outpatient Radiology Services and Co-Director of Clinical Staff. Her clinical interests span a broad spectrum of pediatric imaging, in particular musculoskeletal diseases. Her research focus is metabolic bone diseases and the imaging evaluation of child abuse. She has been appointed Chair of the Child Abuse Committee of the Society of Pediatric Radiology. 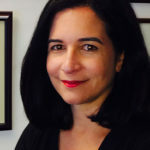 Dr. Perez-Rossello serves on the Steering Committee of the President’s Council of Cornell Women and on the board of Milagros para Niños of Boston Children’s Hospital. She lives in Boston with her husband and three children.